“Abba Kyari, the increasingly controversial Chief of Staff to President Muhammadu Buhari, is at the centre of another unwholesome saga that is likely to reinforce further the view that the Buhari administration’s anti-corruption stance is a ruse. “This time, an investigation by SaharaReporters found that Mr. Kyari has been fiddling with the finances of the Nigeria High Commission, London, where the country’s resources are being dubiously deployed for questionable or illicit purposes. 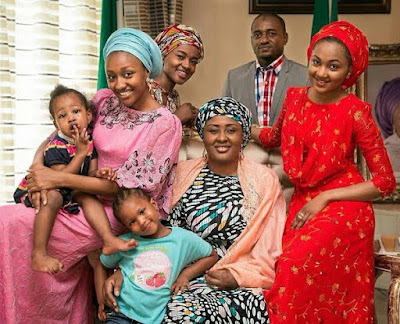 The report further said Nigerians resident in the UK are not aware that they paid Kyari’s medical bill when he was treated at Wellington Hospital, St John’s Wood, London, in December 2016 at a time the government blamed its failure to issue passports to Nigerians resident in the UK on a lack of funds. “A letter signed by Mr Ogah and addressed to Professor Paul of Wellington Hospital provides a confirmation of the role of the high commission in Mr Kyari’s treatment. 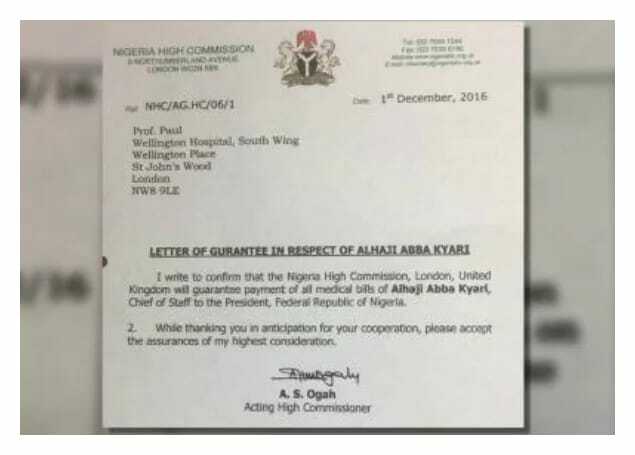 “Dated December 1, 2016 and titled: ‘Letter of Guarantee In Respect Of Alhaji Abba Kyari’, Mr Ogah’s letter stated: ‘I write to confirm that the Nigeria High Commission, London, United Kingdom, will guarantee the payment of all medical bills of Alhaji Abba Kyari, Chief of Staff to the President, Federal Republic of Nigeria’. The report also presented the above documented letter to prove its indictment of the affected top Nigerians.